The Qur'aan is explicit on this. 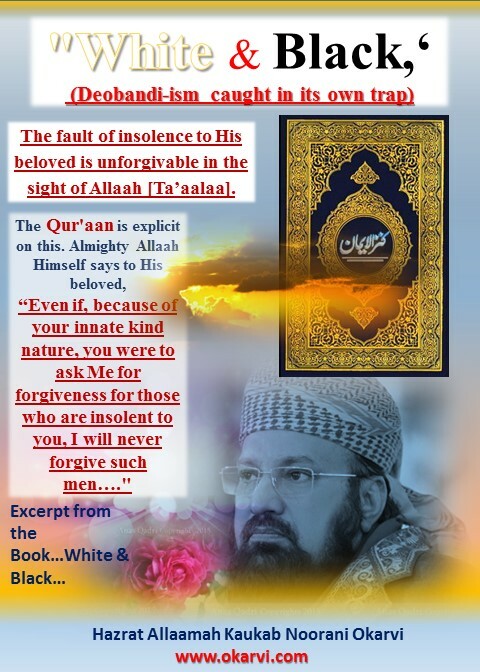 Almighty Allaah Himself says to His beloved, "even if, because of your innate kind nature, you were to ask Me for forgiveness for those who are insolent to you, I will never forgive such men." The fault of insolence to His beloved is unforgivable in the sight of Allaah [Ta’aalaa]. Let us see how insolent have these people been to the Holy Prophet [Sallal Laahu Alaieh Wa Sallam] Allaah [Ta'aalaa] forgive us for saying so, and again Allaah Kareem forgive us for saying so, these people believe that knowledge given to the Prophet is less than that given to Shaietaan the accursed, and they liken the Prophet's [Sallal Laahu Alaieh Wa Sallam] knowledge to that given to the animals and the demented. Who are these people who recite the Kalimah of the Prophet and yet cast doubts on the Prophet's excellence and his absolute truthfulness? Leave alone outsiders who do not subscribe to the Kalimah, even those who ostensibly claim to be the adherents of Islaam and who incessantly preach Deen-e-Muhammadi are very careless about their utterances, and their utterances are nearer to insolence. They should realize what the demands of reverence are, and how far are they justified in saying what they say. Those who claim to having truth on their side are, in fact, engaged in destroying its very foundations. They are trying to cut the very branch on which they happen to be perched. These people say things, which are most hurtful and most distressing. Have they no realization how they themselves would feel if any of the leaders of their faction were to be made the object of criticism? They will, in all probability, lose their senses. Have they no grasp of the indescribable hurt, which is caused to the slaves of Allaah's beloved [Sallal Laahu Alaieh Wa Sallam] when Allaah Kareem's beloved is criticized and downgraded? It is a matter of total love and total adoration. Mention the faults of the beloved before the lover and he will, surely, smash the snout of such a foul-mouthed person. I have been selected for standing in the ranks of those defending the honor of the Prophet Muhammad [Sallal Laahu Alaieh Wa Sallam]is a matter of such privilege for me that transcendent s even sovereignty over several kingdoms. 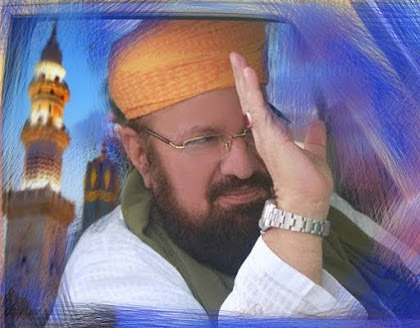 I feel it is only through selection that the Originator of Grace has chosen me for praising the Prophet [Sallal Laahu Alaieh Wa Sallam] It is an honor for which, howsoever much one might feel elated, he would still be inadequate in giving thanks. Praising the Prophet [Sallal Laahu Alaieh Wa Sallam] is the habit of my Merciful Rabb [Allaah Kareem]. The tongue of the Prophet [Sallal Laahu Alaieh Wa Sallam] prays thus for his eulogist Hazrat Hasaan [Radiyal Laahu Ta'aa'laa Anhu]: "O Allaah! Help him with the Holy Spirit [with Jibra'eel], the trustworthy'" There is countless evidence that Hazrat Jibra'eel [Alaiehis Salaam], the trustworthy, has been created for adoring the Prophet [Peace be upon Him]. 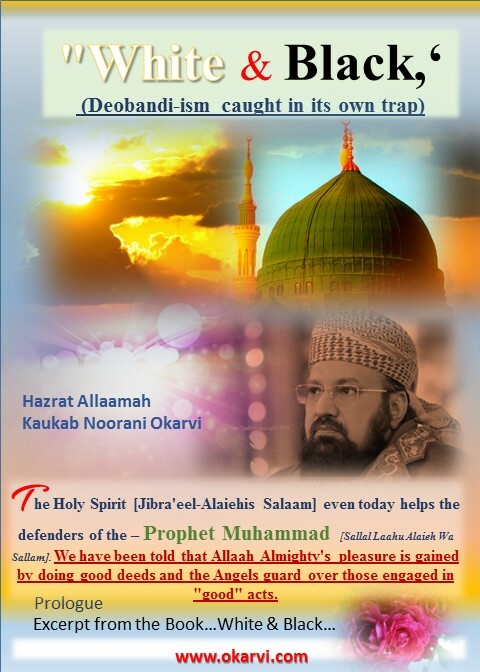 That Holy Spirit [Hazrat Jibra'eel-Alaiehis Salaam] even today helps the defenders of the - Prophet. We have been told that Allaah Almighty's pleasure is gained by doing good deeds and the Angels guard over those engaged in "good" acts. To be continued In Shaa Allaah.